There are two groups of vegetables that can be successfully overwintered into the spring: root vegetables and very cold hardy leafy greens. Root vegetables should be planted early enough that they are a mature size for harvest by mid-November. As the ground begins to freeze, the root vegetables can be heavily mulched with straw to keep the soil from freezing. This method can provide an outdoor cold storage for the root vegetables. 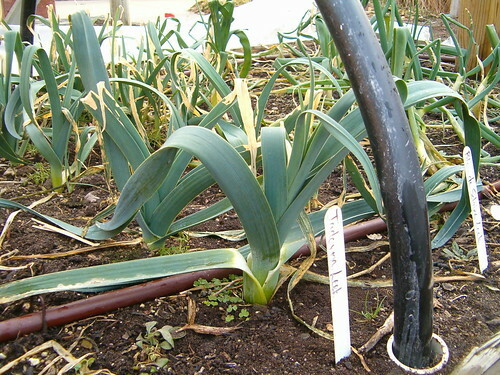 They can then be dug and used throughout the winter, as long as the soil is not frozen. Row covers can also assist with this goal. Spinach, kale, some varieties of lettuce, and some specialty greens such as mache and claytonia are very cold tolerant and can be successfully overwintered with a couple layers of row cover. 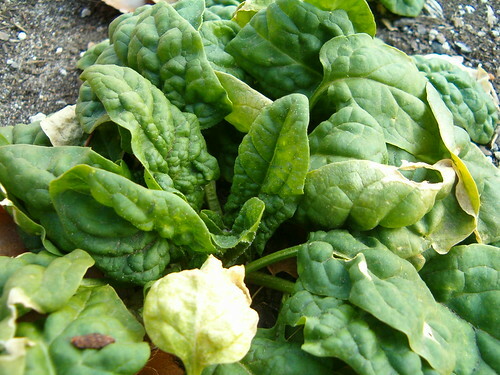 Depending on the winter and the amount of protection given, these vegetables may be harvestable for much of the winter or they may not have harvestable leaves until it is warmer with longer days in early March. Posted on October 18, 2012, in Season Extension Gardens, The First Time Gardener and tagged fall, fall garden, fall gardening, leeks, root vegetables, spinach, weather, winter. Bookmark the permalink. 1 Comment.